"If the ability of a performance to raise the hair on your arms and the nape of your neck is one measure of success, Alsop’s with the Baltimore Symphony Orchestra succeeds brilliantly. A fine, fine effort and strongly recommended." "... a practical Bartók primer ... well played, persuasively interpreted and nicely recorded ... a credible starting point for those wanting to dip a toe into Bartókian waters." "This muscular and thrilling recording amply demonstrates why Marin Alsop is such a sought after conductor and why the Baltimore Symphony is so highly thought of all over the world." 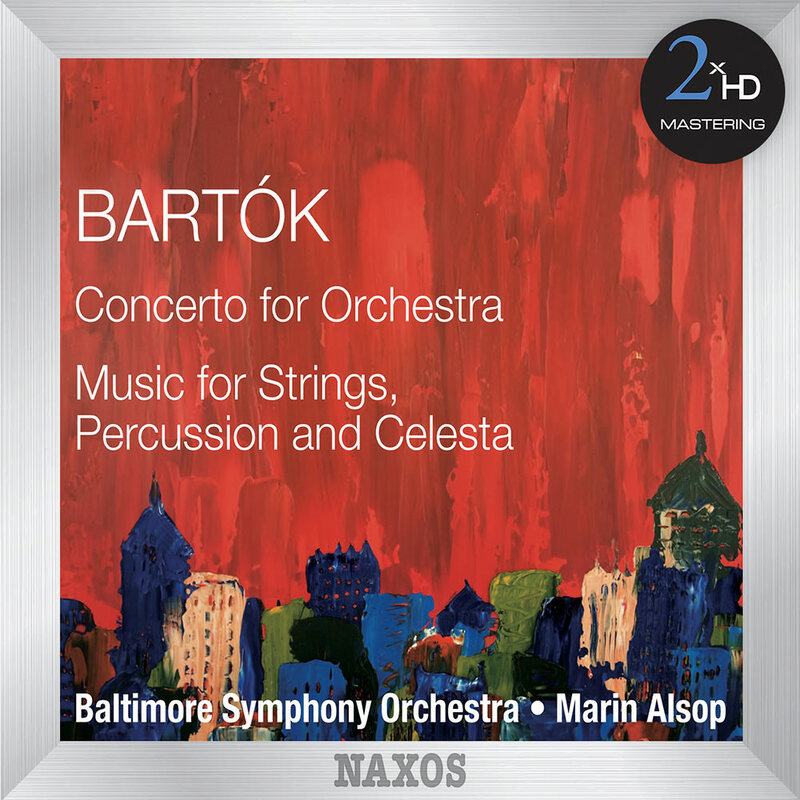 Marin Alsop conducts the Baltimore Symphony Orchestra on this performance of Béla Bartók’s Concerto for Orchestra, recognized as one of the composer's greatest works. The orchestra rises to the challenge of this concerto, which is not only a brilliant display vehicle for each instrumental section but also a work of considerable structural ingenuity that unites classical forms and sonorities with folk rhythms and harmonies. The other work on this programme, Music for Strings, Percussion and Celesta explores darker moods. *Recorded in PCM 88.2 kHz / 24-bit. In order to achieve the most accurate reproduction of the original recording we tailor our process specifically for each project, using a selection from our pool of state-of-the-art audiophile components and connectors.The process begins with a transfer to analog from the original 88.2kHz/24-bit resolution master, using cutting edge D/A converters. The analog signal is then sent through a hi-end tube pre-amplifier and (if needed) will be EQ’d before being recorded directly in DXD using the dCS905 A/D and the dCS Vivaldi Clock. All connections used in the process are made of OCC silver cable.